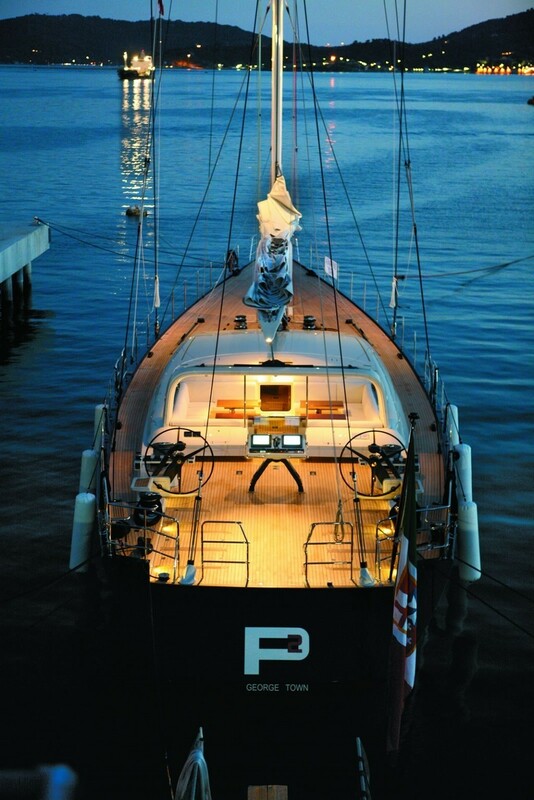 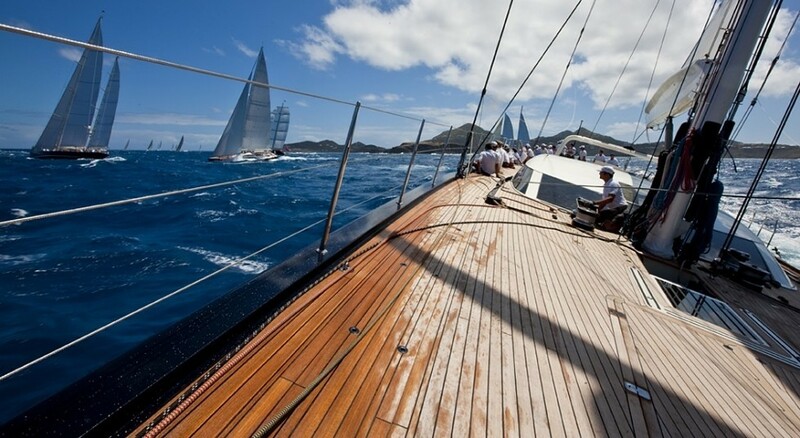 Sailing yacht P2 is a luxurious superyacht measuring 38,00m (124' 8") built by Perini Navi in 2008. 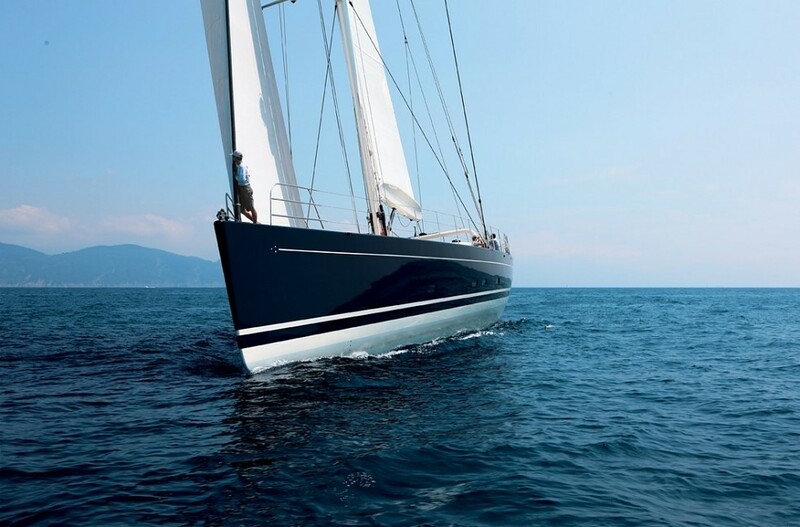 The sleek and fast cruising yacht P2 was designed by Philippe Briand and boasts a light, easy to manoeuvre hull with some fantastic rigging and sails. 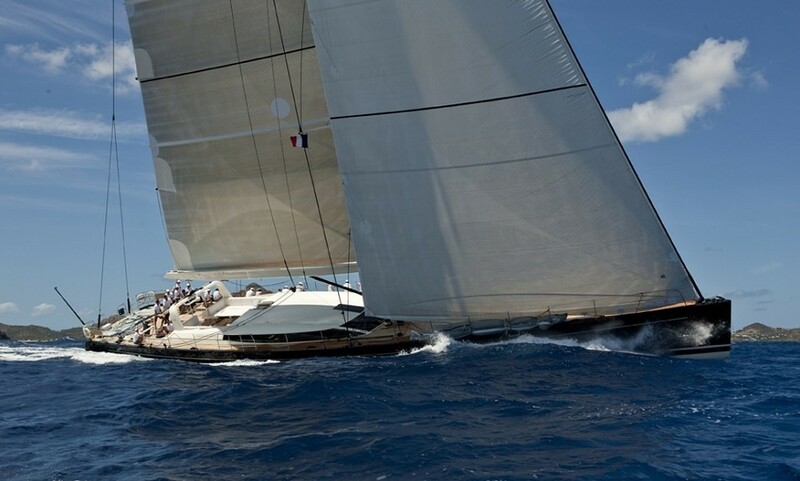 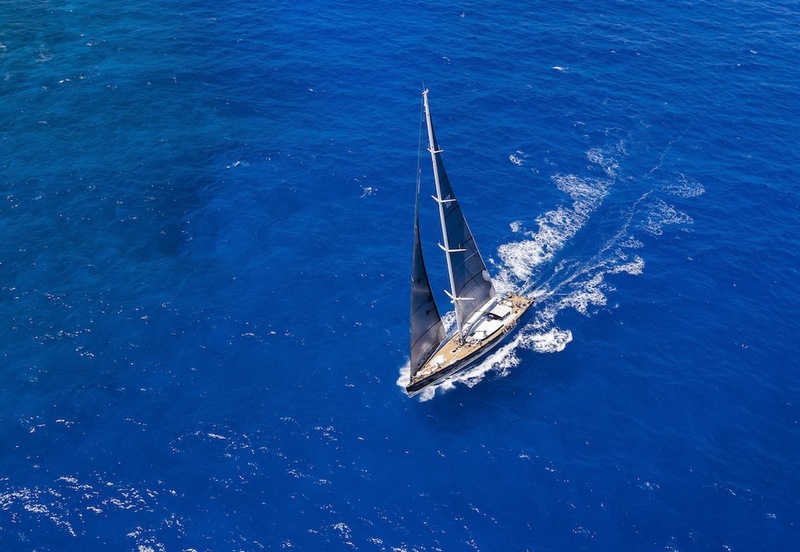 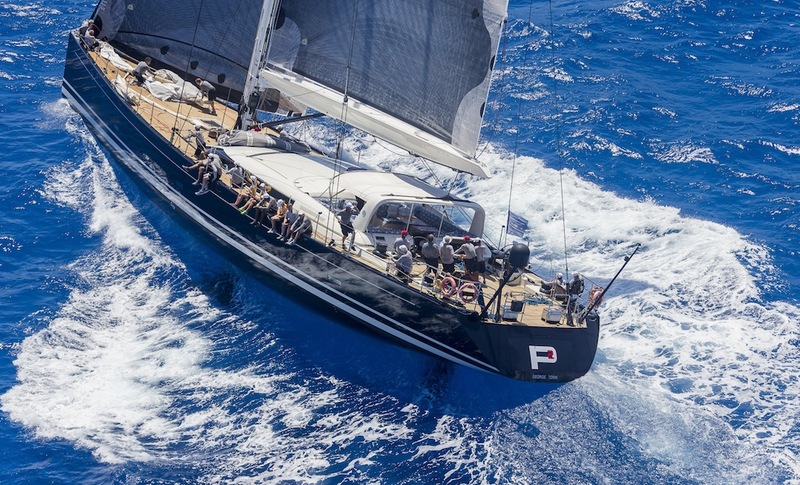 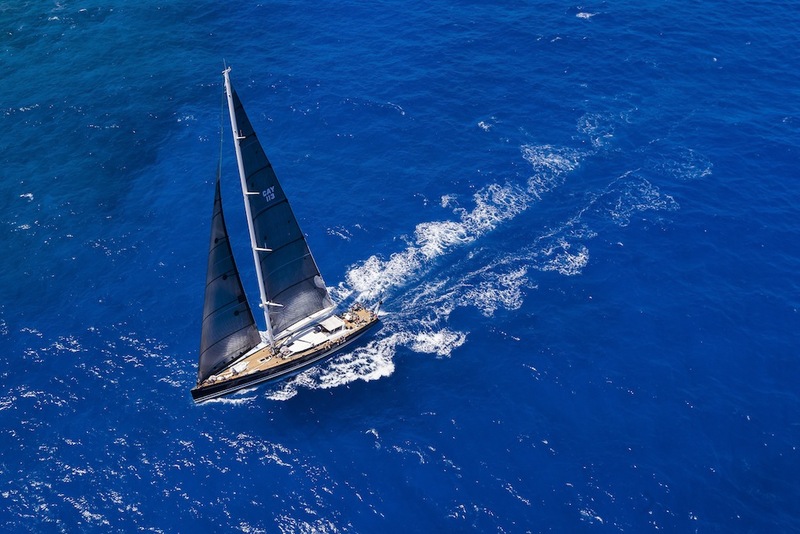 Sail yacht P2 is the first Perini Navi to be designed by Philippe Briand and was launched at the Cantieri Navali Beconcini Yard (a Perini Navi Group company) in La Spezia, Italy. 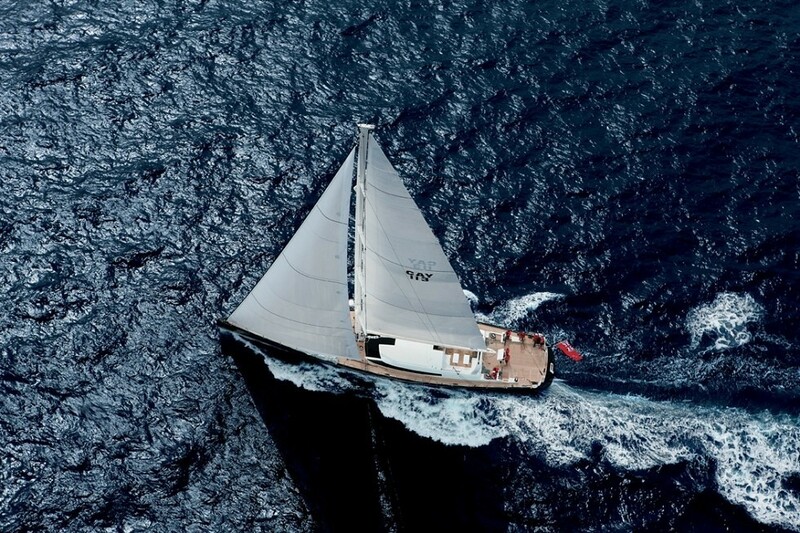 The fast sialing yacht P2 features a combination of high performance, comfort and quality thanks to Perini Navi’s philosophy and Philippe Briand‘s vision. 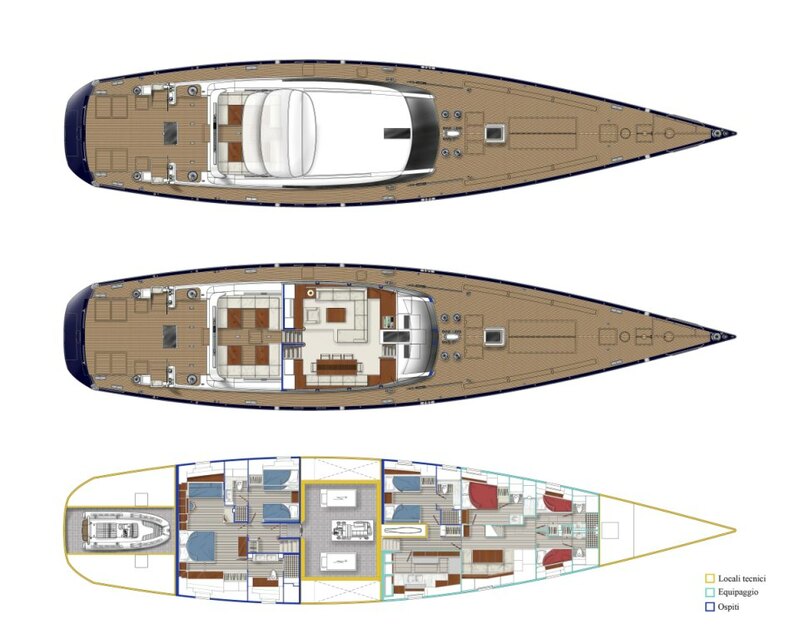 ”While designing the new Perini 125’ line we had the image of a high performance gentleman’s yacht in mind. 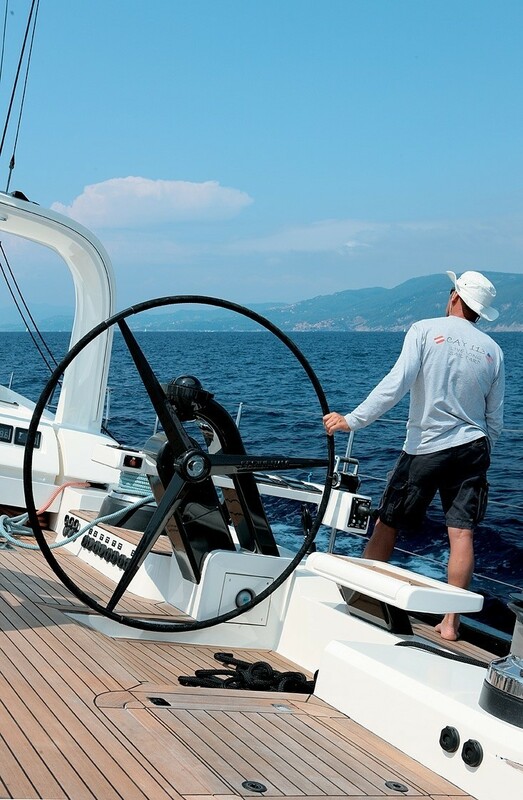 A performance sailing yacht needs to be sensitive in light air and powerful and stiff in heavy winds and that is what we have created. 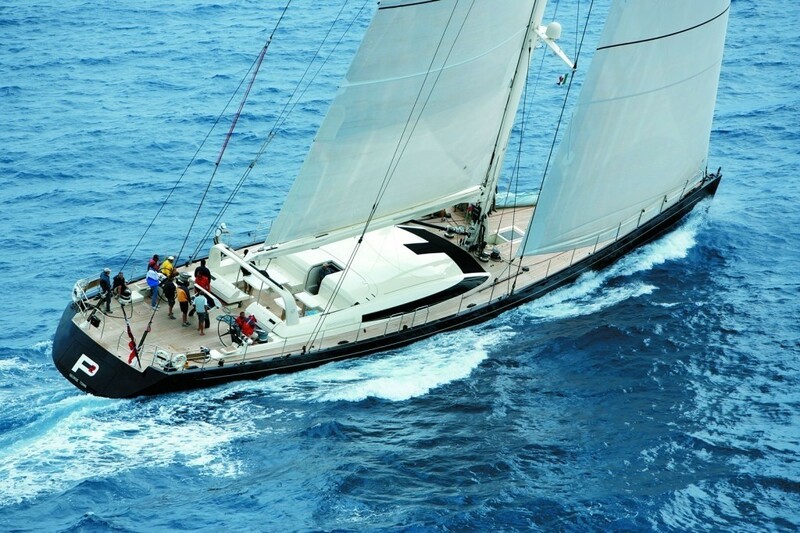 The other characteristics of a special sailing yacht are the elegance of its look and the sensation of performance and acceleration when under sail. 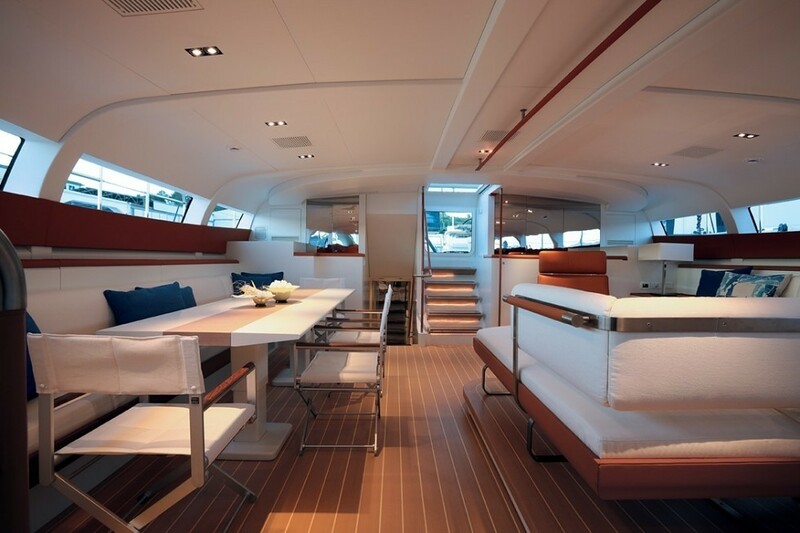 If you add to that a refined and comfortable interior, the yacht becomes a real dream”. 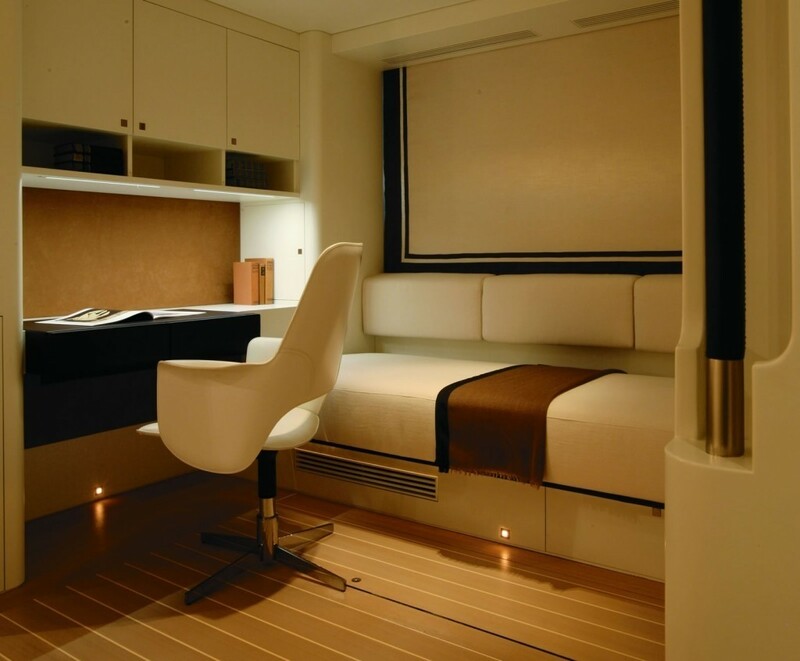 Commented Philippe Briand, designer of yacht P2. 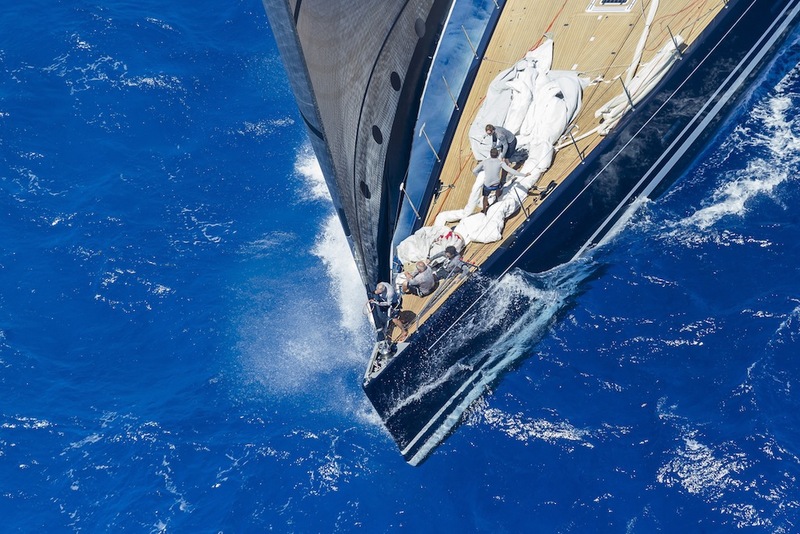 38m S/Y P2 features a comfortable and spacious lay-out which was inspired by the lightness of the hull and rig resulting in a design in which the furniture appears to be weightlessly suspended in the air. 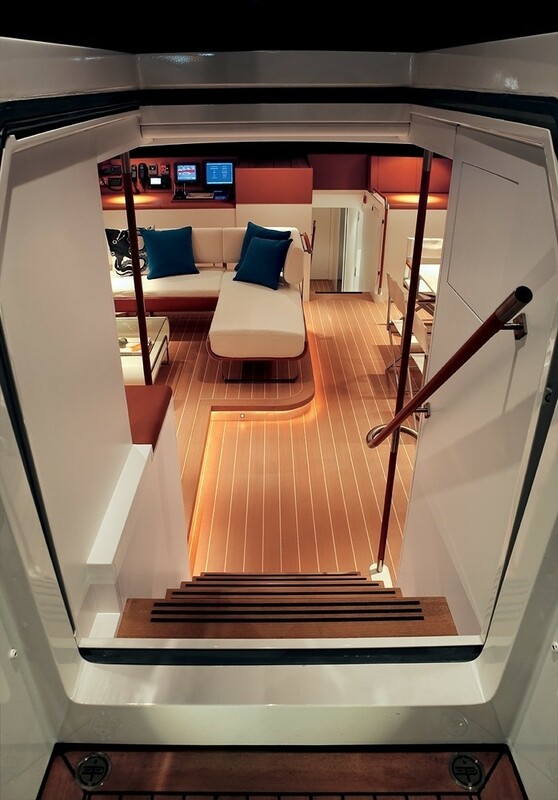 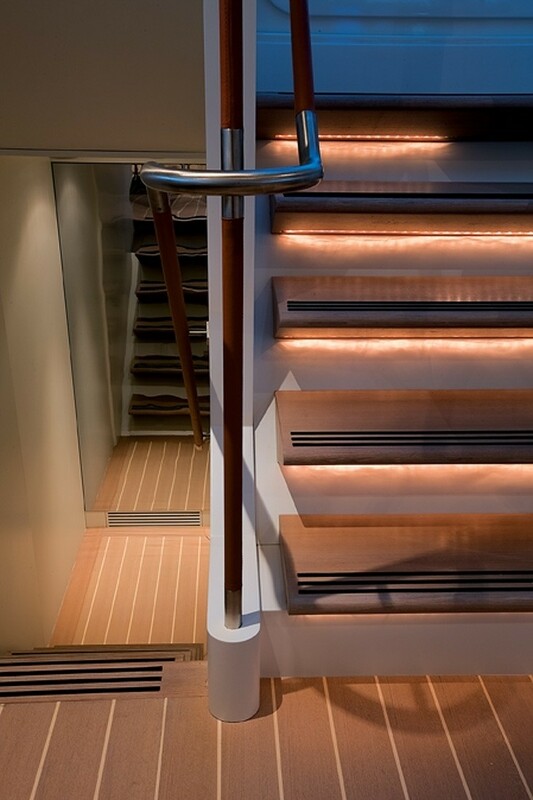 The cockpit and brightly lit deck-saloon of superyacht P2 are inviting. 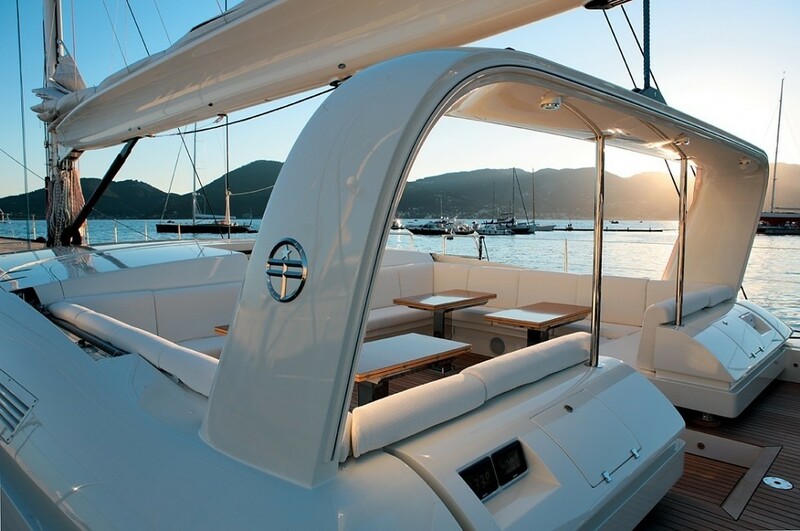 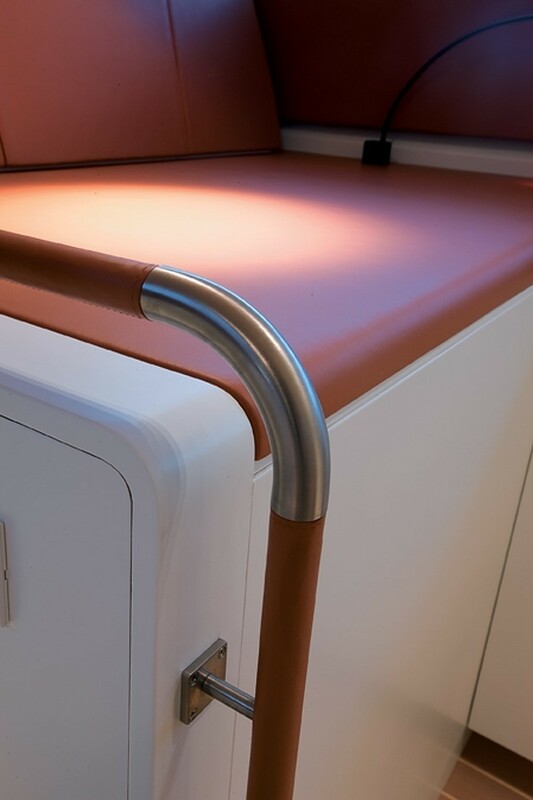 The cockpit can be fully protected from the elements with an awning and can also be converted into a sun bathing area. 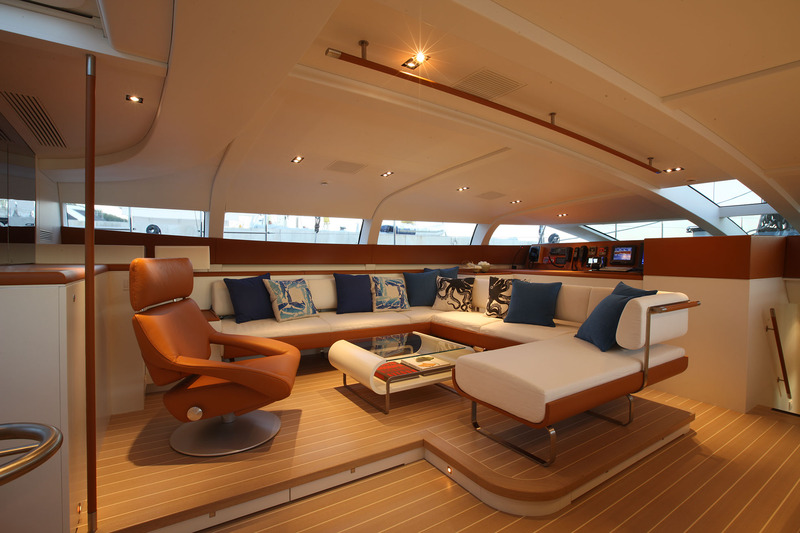 The deck saloon features a dual purpose dining/sitting area, in which the coffee table can be transformed into a comfortable dining table seating up to 8 guests. There is a corner sofa to starboard for relaxing. 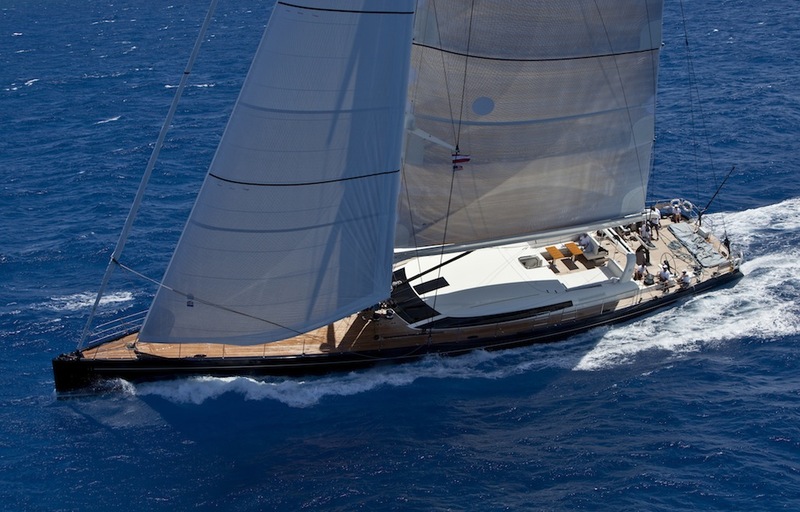 Perini Navi P2 is able to accommodate 6 guests however has a flexible bed configuration so would consider more guests for families with children under 12 years old. 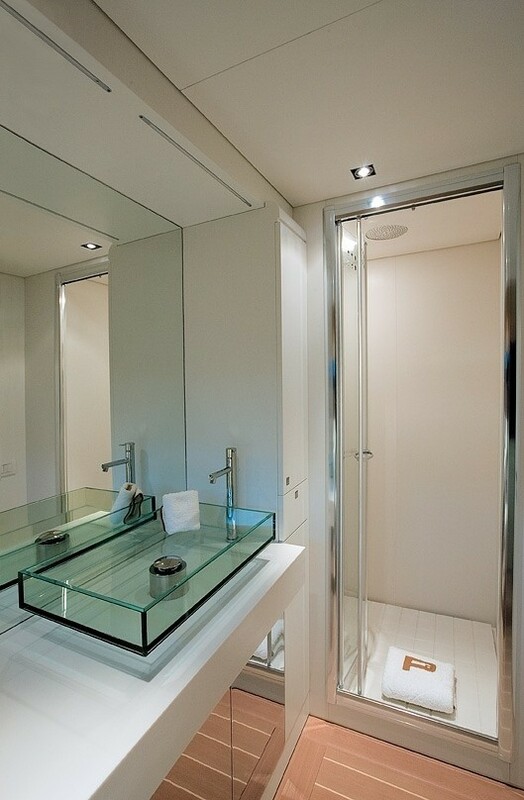 The full beam Owner’s suite, located aft is adjoined by a private ensuite bathroom with a shower, and wardrobe. 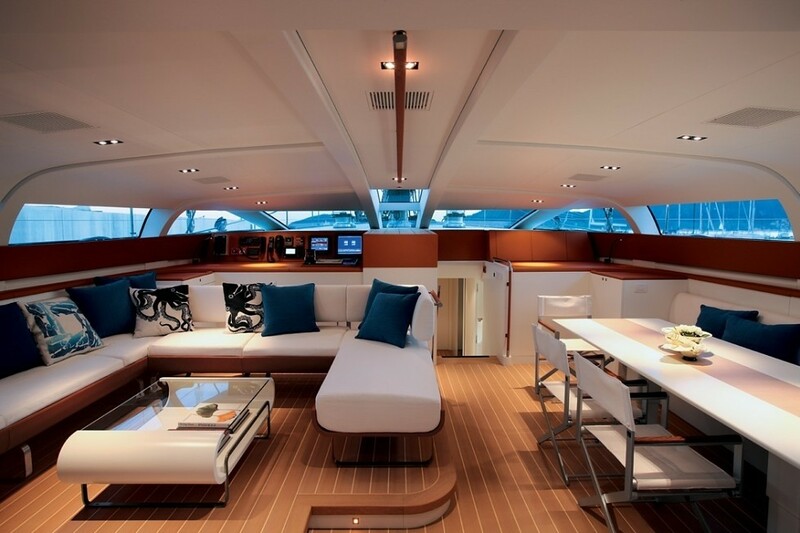 To port is a comfortable private sitting area. 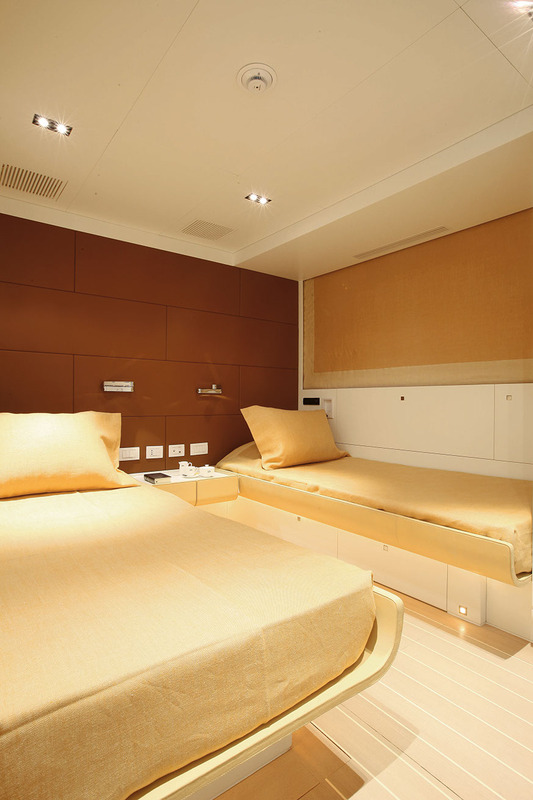 One guest cabin is located to port forward of the Master cabin and can accommodate up to 4 guests in 3 twin beds and an additional pullman berth, while the second cabin can accommodate 2 guests, or 3 if the additional pullman berth is used, is also located to port further forward, beyond the central engine room. Both cabins have en-suite bathrooms. 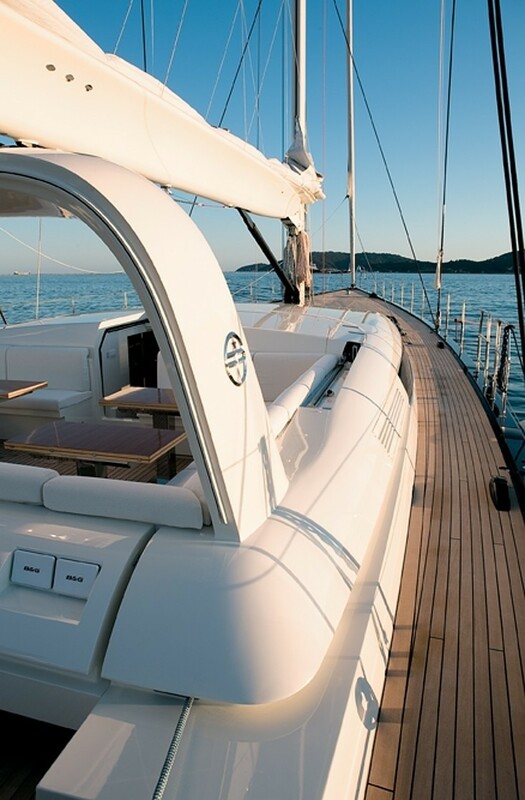 P2 Yacht has a great selection of tenders and toys including a 10ft Zodiac that is stored in a garage sunk into the fore-deck, while the second, a 16 foot Castoldi jet tender (125 HP), is stored in the spacious lazarette, which opens aft to a swimming platform built into the transom. 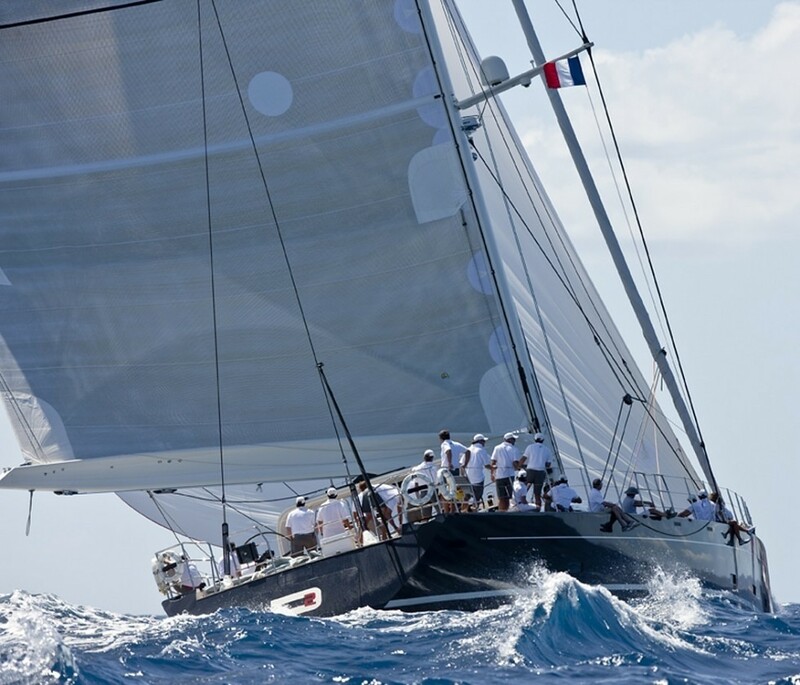 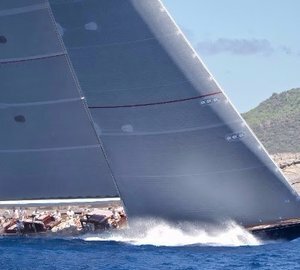 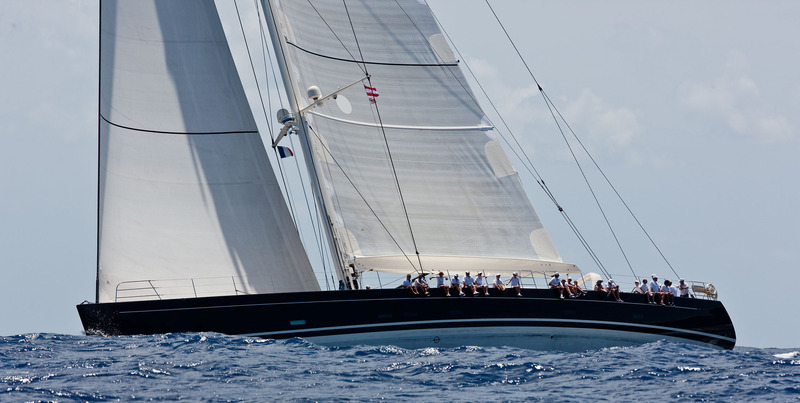 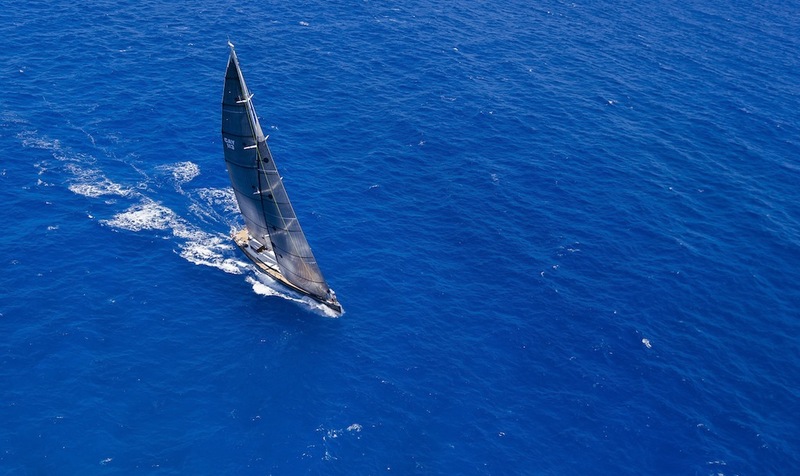 Racing yacht P2 is available for the discerning yachtsman to race in limited regattas utilizing the very experienced race crew at an increased rate. Luxury Perini Navi sailing yacht P2 is able to accommodate up to 6 guests in 3 Guest Staterooms including s Master Cabin with Queen bed. 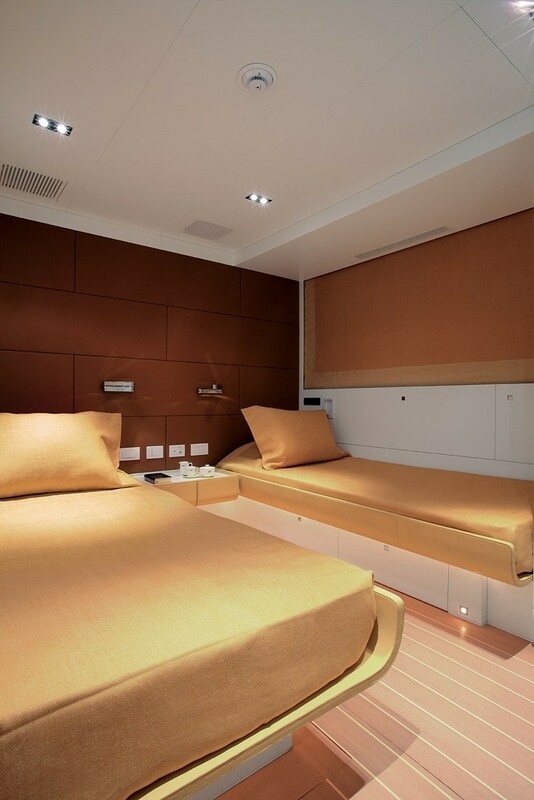 The aft cabin features 3 twin beds plus a Pullman and the Forward guest cabin has two twin beds plus Pullman. 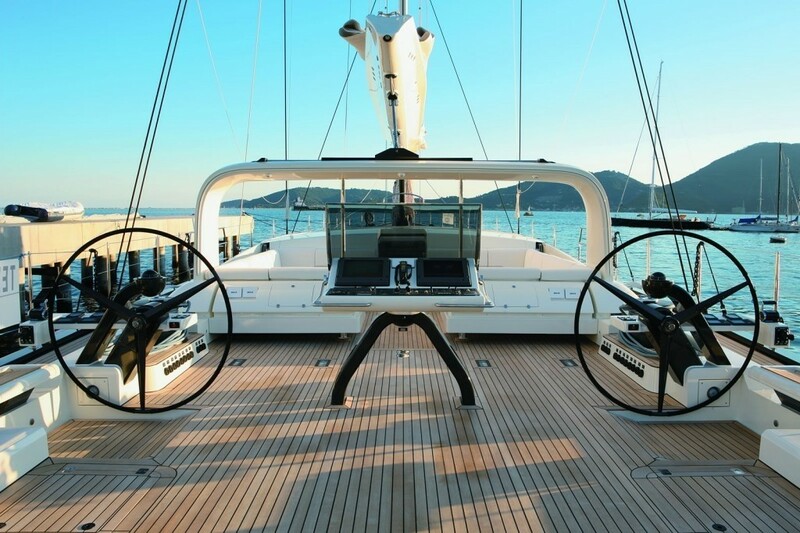 Sail yacht P2 has the following extras onboard for guests to enjoy: Tenders & Toys include a 16 foot Castoldi jet tender (125 HP), 10-ft Zodiac with 10 HP outboard, towing toys, fishing, stand up paddleboards on request. 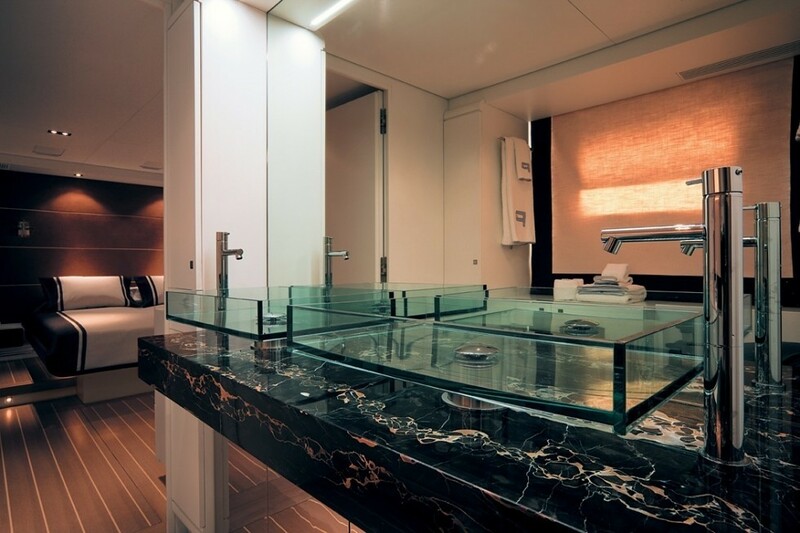 There is also a Massage table, weight bench, hand weights, yoga mats, snorkelling gear, etc. 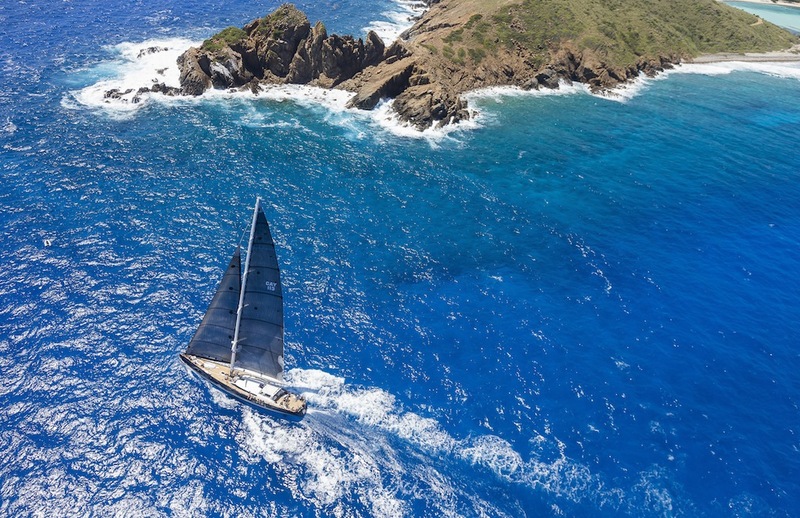 Please note the yacht offers Rendezvous diving only. 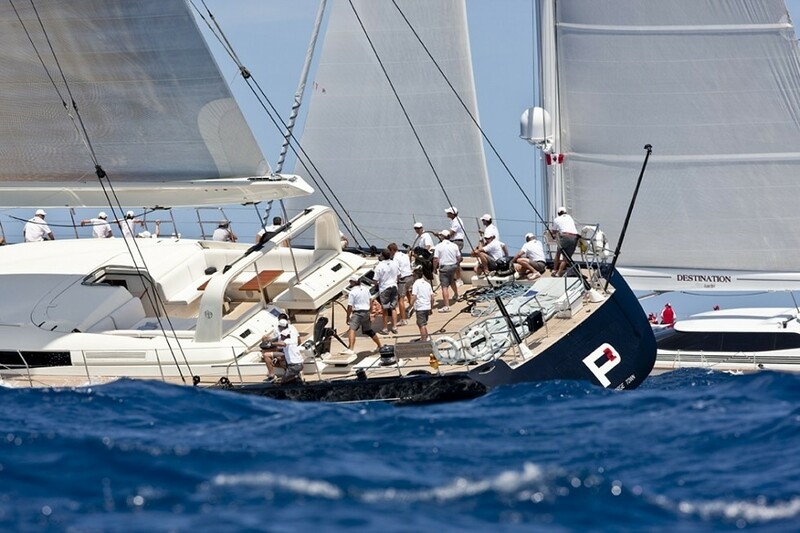 Communications onboard yacht P2 include Sat link (slow speed) unless in marina with WiFi. 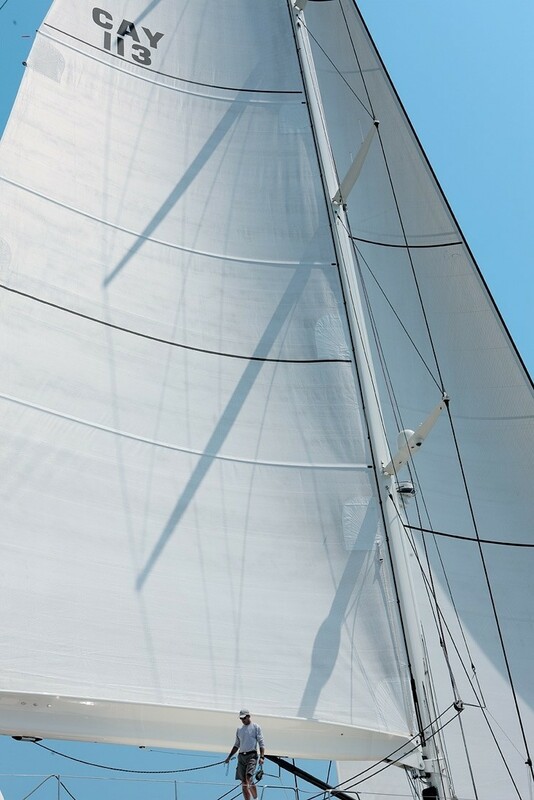 Voice calls always possible, plain text emails sent to vessel server always possible. Audio Visual Equipment and Deck Facilities include a large flat screen in salon with surround sound. 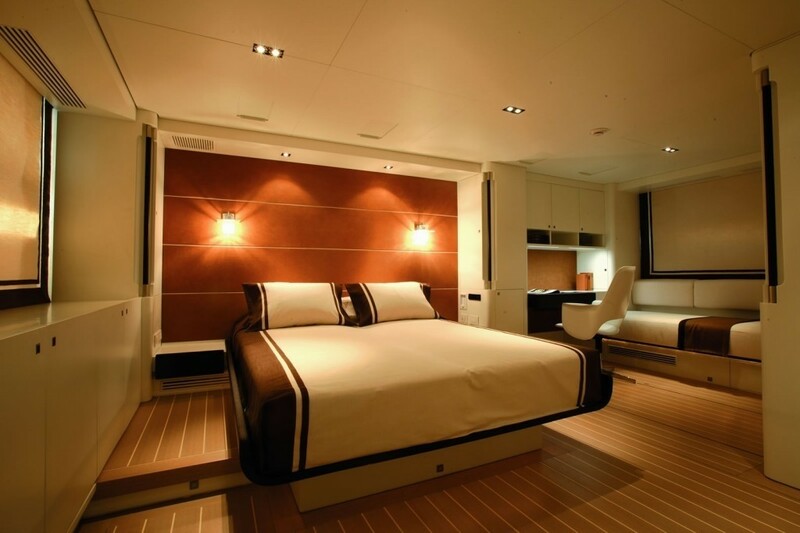 Ipod docks in all cabins. 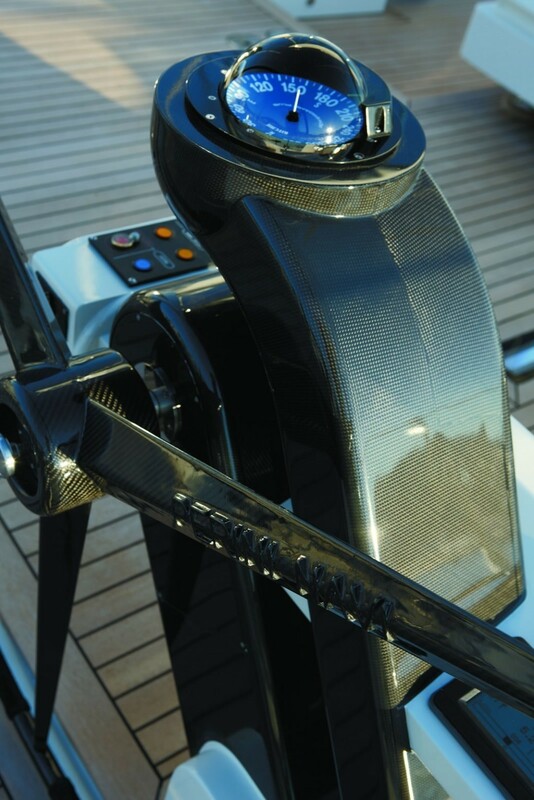 Cockpit and deck speakers. 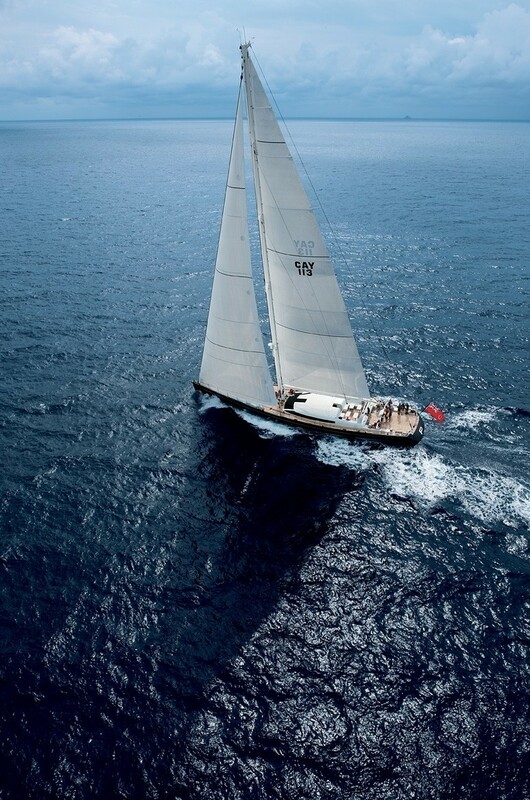 Italian yacht builder Perini Navi is the world leader in the design and build of superyachts, with 61 yachts launched to date, including 58 sailing yachts and three motor yachts. 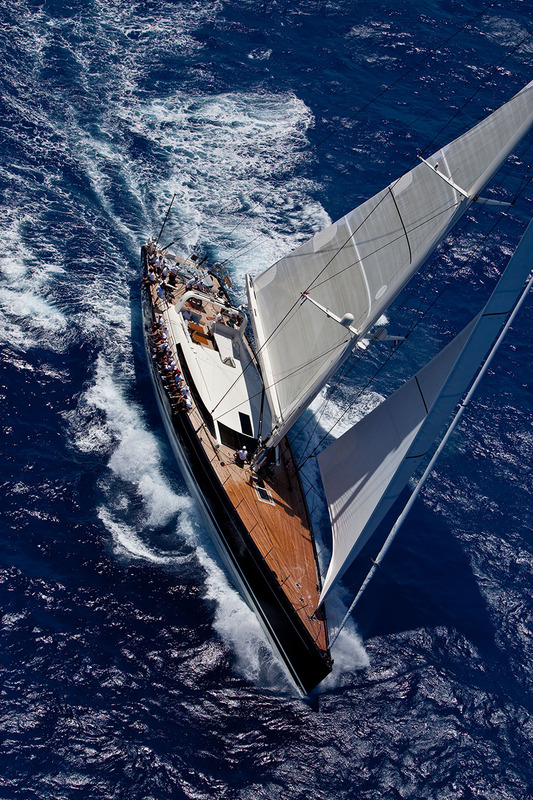 Credited with a combination of technical brilliance and first class design, Perini Navi has always been in a class of its own. 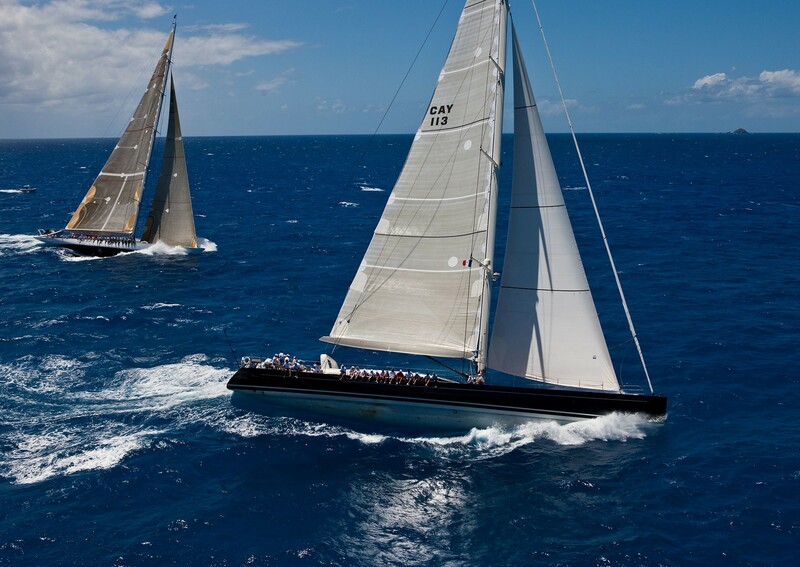 And so are many of their yachts.